With Guardians of the Galaxy Vol 2 in theaters, we got to see a whole new batch of Marvel’s cosmic characters including the original Guardians, Ego, Mantis and Taserface. Actually my son, Aaron, who was five at the time, came up with the name. He kept talking about this character, Taserface, all the time. I thought the name was kind of lame, so I changed it for his second appearance, but it was no worse than Pruneface, Clayface, Two-Face or any other character with the word face as part of their name…and Aaron was my boy, so, you know, I just had to do it for him. 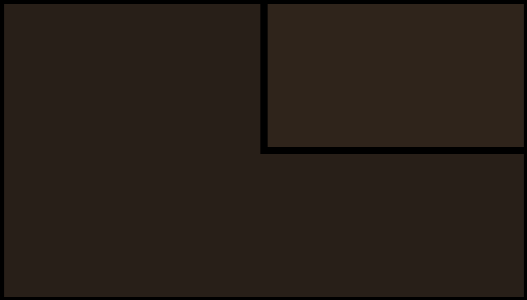 The character comes from the planet Stark and has also used the names Overkill, 17 and Nameless One. If it seems odd that his home world is named Stark, good call. It’s a 31st century planet of primitives where a crate of armor created by Tony Stark ends up. The planets natives adapt to the armor and name themselves after their new idol and use the tech to take over other planets. Taserface is an advance scout for the Stark. He ended up on the planet Courg where he encountered and was defeated by the Guardians of the Galaxy. 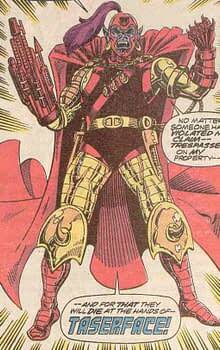 After the defeat, his own people tortured him and took away the name Taserface… hence being called the Nameless One. After begging for forgiveness, he is given upgrades and takes the name Overkill. He encounters Hollywood, an alternative version of Wonder Man. Hollywood easily defeats Overkill and when the Stark tries to blow himself up, Hollywood just absorbs the blast killing only Taserface. 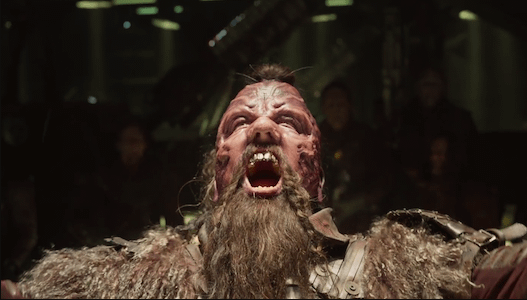 In the film, Taserface is one of the Ravagers that questions Yondu’s fitness to lead and his name becomes fodder for a series of jokes. The character is played by Chris Sullivan from This Is Us. In the credits, Marvel put in ‘thank yous’ to the comic creators who have worked on the characters over the years. Jim Valentino is of course listed in those thank yous. And appropriately, so is Aaron Valentino.